In this section you will find a variety of information and useful links to revision websites, aimed specifically at GCSE P.E. & BTEC Sport. 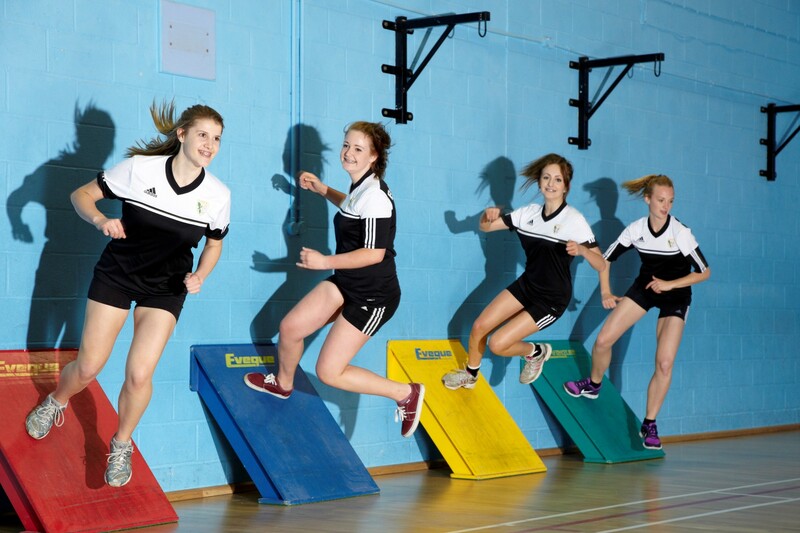 In Year 10 pupils can opt to choose to study either GCSE Physical Education or a BTEC in Sport (Level 2). Both are 2 year courses which are completed in Year 11. It is aimed at students who have a very good all round practical ability and a keen interest in the wider aspects of sport and improving themselves as a performer. Successful students will often play a number of sports competitively, both inside school and at local clubs. The course has a high practical element (60%), which is used to extend and challenge students through developing their practical skills to a higher level. A wide range of sports is covered throughout the two years, so it is essential that students show commitment for the duration. Students will also experience different roles in sport, such as officiating and coaching, and all will be expected to be involved in organising and running local Primary School competitions under the supervision of teaching staff. Through the theoretical elements (40%) of the course, students will be able to apply the concepts and theories to their own performance, using them to suggest ways in which they can improve. Using data to improve sports performance. • Training for Personal Fitness. There is an examination which is worth 30% of the final grade with the other 70% of the course being assessed though coursework. All students in Years 10 and 11 receive two hours of core Physical Education each week. These lessons are used to build upon skills and knowledge developed at Key Stage 3 and to promote lifelong participation and healthy lifestyles once they leave school. Students will also complete a leadership unit of work which involves them taking on the role of coach and official in a range of sports. We deliver the Key Stage 4 curriculum through a wide range of traditional and non-traditional sports and also introduce students to a number of fitness based activities, utilising our link with St. Crispin’s Sports Centre. Click here to view information about Careers in Sport.